How two important Muslim countries, Turkey and Indonesia, can contribute for more peace, tolerance and economic growth in post-Western world? The so called “Alliance of Civilizations” was launched in 2005 by the Prime Minister of Turkey Tayyip Erdogan and Spain Jose Rodriguez Zapatero. The atmosphere of mutual distrust, fear and polarization prevalent in recent years in particular between the Islamic World and the West are the reason for this coalition to start reaching out and foster greater cultural tolerance and understanding. The role of Islam in the study in civilization is quite known. In fact, it was Ibn Khaldun who was established a new science on the study of civilization. This was six centuries ago. Today, the term “civilization” has become one of the most popular units of analysis in social science and media. Later on “Alliance of Civilization” became UNAOC as it was adopted by the secretary general of the United Nations to become a UN initiatives and the Alliance became the forefront in promoting dialogue and also Regional strategy in reducing extremism including interactions with civil society organizations. The recent meeting was held in Bali, Indonesia on August 29-30 with this year theme “Unity in Diversity” which is also the official National motto of Indonesia as celebrating diversities for common and shared values. In current capacity, Indonesia and Turkey are member of G-20 and both countries are showing a tremendous economic growth for the last 10 years, regional emerging market and rapidly growing private sector plus play an important economic role in their respective region. Indonesia is also the largest Muslim country in the world and fourth most populous nation, and since the era of “reformasi” in 1998 Indonesia has moved smoothly from dictatorship and military rule to democracy, compared to many other Muslim countries in the Arab world, such as Egypt and Syria, that have failed in their post Arab spring democratic development. Today, both Turkey and Indonesia have risen economically and democratically in a similar way although they had started differently. The history of modern Turkey begins with the foundation of the Republic on October 29, 1923 after the fall of Ottoman Empire when the World War I ended. Mustafa Kemal Atatürk introduced a new Turkey as a secular western country through his massive reform movement. Going from changing Ottoman Turkish alphabet to Latin, to adopting women’s rights and the abolition of Islamic law in favor of the European legal system. The process of western secularization had brought Turkey to some extend on a par with her European neighbors. Indonesia on the other hand, started as a Republic on August 17, 1945 driven by nationalist independence movement and anti-colonial sentiment led by Soekarno who was well known for his determination and struggle against any form of colonization in Asia. He was similar to other great Third World leaders such as Jawaharlal Nehru, and Gamal Abdel Nasser. His most known work is the establishment of nonaligned movement (since the Bandung Conference in 1955) that stated to promote Afro-Asian economic cooperation to oppose colonialism and neocolonialism by any nation. While Turkey started as a potential “imperial world power”, Indonesia embarked exactly on the opposite as an anti-colonialist and anti-imperialist. 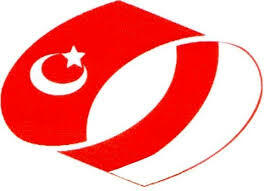 Although both cultures are rooted in Islam they have managed to pass a period of unique secularization and democratization process that is now being known as “Turkish model” or “Indonesian model” of Islam. Albeit Indonesia has not experienced the so called “secularization enforcement” process like Turkey, Indonesia have been always secular and progressive in mobilizing the people towards education. The Islamic school in Indonesia, for example, use Islam as a foundation but mostly combined with nationalism, self-sufficient fund and support for development and progress. Indonesian strength in organizing a moderate Islamic education even before the independence has proven successful in creating many Islamic thinkers that are also accepting western education, values and ethics. Many of those visionary Islamic leaders are also anti-colonial activist and play a significant role in the movement at least in the educational sphere. Most Turkish intellectuals at the time when new Turkey was established were the product of Ottoman madrasas and interaction with the west, rather than of the Arab world. The Ottoman Empire was the most extensive and most influential state system in the entire Muslim world during at least six centuries and quite possibly for any time since the rise of Islam itself. Therefore Turkey have more experience and education in skills such as law, writing, documenting, arithmetic, art and literature compare to Indonesia. These mountain of knowledge also have positioned Turkey differently in learning and sharing with Islamic Muslim scholars in particular from the Arab world. Turkish Islamic scholars are not eager to study from the Arabs because they consider themselves able to do it better. On the opposite side, Indonesia struggle to search for knowledge, wisdom and spiritual influence from the Arabian Peninsula and yet still find it difficult to be part of their Arabs peer and seek recognition for their work in the Islamic world. The element of knowledge in Indonesian religiosity is always been the spiritual center as the core of the teaching. When many of religious scholars from Indonesia travel to Mecca for the first time they return home and start correcting Islam and reform them towards an “Arabization” of the Islamic belief and practice in accordance to what they witnessed in the Middle east. As many Indonesian Islamic scholars are eager to be at the same level with the Arabs, many of their teaching were also contested at home and give rise to various forms of cultural resistance. Indonesia is known for the tradition of syncretic esoteric in Islam after a long tradition of Hindu in Java, for example until today we can still see a very strong Hindu elements mixing with Islamic practices and rituals. In the political arena, being the largest Muslim country in the world Indonesia hardly play any role in the Arab world. The answer lies not only on the geographical distance and so no direct impact is possible from Indonesia or Southeast Asia in general, but is due to the mere fact of Western intervention in the Middle East, therefore non-Arab Muslim countries have no room to pursue their interest and many of them are only becoming spectators. According to PEW Research Center in 2010 62% of world’s Muslim population lived in South and Southeast Asia. Indonesia holds the largest moderate Sunni Muslim around 205 million people and the second largest non-Arab Muslim are in India, followed by Turkey and Iran. The growing understanding in the west that Islam is identical with the Arabs has created confusion among many countries which are operating based on multi civilization such as Asia. Nevertheless, Asians in part also contributed in misunderstanding of the West about Islam. Why such reflection never appear before? Asians Islamic scholar because of their limitation in knowledge and also lack of legitimacy are not seen relevant to be involved in solving conflict in the Middle East for example, and this power notion also is nurtured by the West to maintain their strength in the region. The lack of legitimacy of Islam in Asia also shows in the exchange of learning in major universities in the West that are mostly dominated by Arab scholars. Many books from the Arab Islamic scholars are studied in France and the US and even translated into various languages such as Urdu, Malay, Hindi and Chinese. Many great Asian Islamic scholars and thinkers have not written any book that can be used as reference to understand Islam in Asia. The Indian Islamic scholars for example have a unique relation with the Arabs through trade, especially in Kerala or Tamil Nadu, who owes much to the Indian Ocean trade with merchants from Arabia, Persia and China. Islam and expansion of Islamic studies were introduced through trade, mix marriages and cultural exchanges. Many of these stories were documented by Western scholars during their travels across the Indian Ocean and until today we could find traces of this marvelous exchange. Another valid reason why there is less written Islamic studies such as books and literature in Asia is due to the nature of the scholars. They are mostly “travelers’ scholars” unlike in the Arab world where many of them are great writers, in established University, library and developed a volume of Islamic and political thought. Many of the Arab Islamic scholars found themselves as an Icon and references in Islamic teaching or movement throughout the world. Looking back at Indonesia, it inability to play a meaningful role in the global Islamic world indeed raise a question mark, considering relevancy of education and unique cultural of tolerance in this country. Martin Van Bruinessen (Indonesia Rising, 2011) an anthropologist from the University of Utrecht wrote that the Arab world has shown a remarkable lack of interest in Asia in general, let alone in the social and cultural forms of Islam in Southeast Asia. Though more outward looking, other Muslim regions of Asia have not taken a serious interest in their Southeast Asian co-religionist either. Bruinnesen also said that the reluctance of Indonesian Muslim to seek the international limelight, their modesty (or lack of confidence?) and their conviction that they have more to learn from, than to teach to, others. Indonesia has produced many remarkable Muslim thinker such as Tan Malaka, Tjokroaminoto, Agus Salim, Nurcholis Majid and even the late former president of Indonesia Abdurrahman Wahid. But we haven’t seen any of their books and teachings are being translated into Arabic, French or even English. Indonesians Islamic scholars only talks among themselves and with less interest from the Arab world due to lack of international impact when it comes to Islamic thoughts, because many of the Muslim thinkers in Indonesia are activists. They have not been writing a great sensitizing work but rather numerous shorter pieces and it seems to be inherently local not something that the International Muslim scholars can learn. Therefore this lack of confidence of Muslim in Southeast Asia, in particular in Indonesia, to share their ideas and values, has also resulted in a huge impact in Western understanding about Islam. Since the time of independence, Turkey and Indonesia faces many challenges upon their journey towards democracy and development, from secessionist movement to economic crisis but they have been showing gradual improvement by also actively solving their own internal conflict through peace dialogue, economic development through decentralization and free and fair elections. Mediation and inter-cultural, inter-faith dialogue are the most important agenda besides showing legitimacy and existence through trade in their region by also asserting and increasing their diplomatic capacity through softer approach such as cultural power, historical appreciation and education. In the realm of religion, though Indonesia face a difficult journey to rise and play a role in the global Islamic world, now it seems changing, opportunities are coming, more possibility are clear, there are crucial demands from Muslim across the globe and also Western countries for Indonesia to mediate in conflict areas especially when the conflict relats to ethnic and religious tensions. The United States for example sees Indonesia as a true partner in countering extremism and bridging the differences between Islam and the West. Indonesian Islam is characterized by a vibrant intellectual discourse, a remarkable openness to alternative views and broad acceptance of religious pluralism. On the other side liberal and progressive trends, like the Indonesia’s Muslim feminist movement, are the most dynamics and diverse. It is also been admired elsewhere in the Muslim world for its work on building a loose coalition of women’s groups and individual activist taking up various gender related and women’s issues from grass roots to the legislative level. Unlike than in most Muslim majority countries where the Muslim feminist movement are “elite” oriented. Turkey on the other side, seems to reduce its ties with the West as it is no longer concentrating too much to be included in the European Union, instead spreading her wings towards Asia. Some political analyst might see this as a result of a “look east” policy of Recep Tayyip Erdogan but many also believe that Turkey will never be accepted to be part of the European Union. As Angela Merkel stated Turkey is “unfit” to join the EU for many reasons. Some of the debated issues are Turkey’s failure to recognized Armenian genocide, repression of the Kurdish minority, invasion and occupation in North Cyprus back in 1974 and in general Turkey’s poor human rights record. Turkish also admitted that Turkey will never be part of the European Union because of stiff opinion and “prejudices” among the EU member states. There are many arguments over the inclusion of Turkey in the European Union including the most controversial one that came from the Dean of Lee Kuan Yew School of Public Policy Kishore Mahbubani. He stated that EU can’t be a role model of regional integration. The first fundamental weakness of EU is a mono-civilization entity that it has failed to extend the region to a single non-Christian country like Turkey. Mahbubani noted that model of regional cooperation within one civilization creates a huge defect in the multi civilization world. Compare to Asia for example, a regional body such as ASEAN is consisting of 10 diverse countries with different cultural, ethnic and religious background. Despite many weaknesses in Asia, its capacity to cooperate across civilization boundaries is a huge strength. Looking at this development Turkey realized her role in Asia would be more relevant rather than being part of EU. Economically while many European countries are struggling with financial crisis, Turkey is experiencing a tremendous growth of almost 8% since 2011 with unemployment rate in 2014 around 10.15%. If she keeps growing like this Turkey soon will be no longer known as a “sick man of Europe” but instead a “China of Europe”. The idea of creation the Alliance of Civilization is again to form a path of modern Islamic civilization, embracing development and technology, increase in economic middle class among Muslim countries in Asia to be actively play a meaningful role in the global world. Turkey and Indonesia are not only counting at the measurement of economic growth and prosperity but also seeking to play role in the region as one of the most dynamic and active country. Few of many that has been pioneered through the member states of the Alliance of Civilization are the promotion of inter-cultural dialogue, peace and mediation, defusing tension between the west and the Islamic world and counter extremism and radicalization. Hopes are high, as both countries will see a better future through emerging economics but also will face many great challenges ahead in democracy and Islam as a whole. Turkey and Indonesia realized that to develop their role in their regions they need strong alliance, unity and more cooperation with the Western world, also by creating and showing a different face of Islam. Both acknowledge that this effort is not to compete with the West but instead will create a fair balance between Islam and the West for a better future. Previous PostRobert Kagan recent article “America’s Dangerous Aversion to Conflict”: looking always to the past instead of to the futureNext PostJacksonian American tradition: how much realism still guide American foreign policy?